Is the Pentagon using ISIL and the Iraq Crisis to Finally Strike Syria? By hook or by crook or by carrots or sticks, the US and its NATO and regional allies will not stop targeting Syria and Iran until they vanquish both. The crisis in Iraq is just a new phase in those objectives. The anti-government forces ravaging Iraq and Syria are mostly the same overzealous or gung-ho head choppers, rapists, extortionists, thugs, and cannibals that were pillaging and senselessly devastating the Syrian countryside with the aim of occupying Damascus in 2011. These ever morphing and constantly name changing groups are not new at all. They have just been rebranded. Some may recall the leaks about the training facilities and secret headquarters that the US and its allies erected for the Syrian insurgents in Jordan, where the buffoon King Abdullah II pretends to manage his discontent subjects while the US and Israel really run the show. The groups marauding Iraq have been trained in these not-so-secret Jordanian facilities. But this is where the plot thickens. The US was using sticks for the last few years against the Syrians and Syria’s staunch ally Iran. That has changed. Poisonous carrots are now in use. It just so happens that the Irbil-based autonomous Kurdistan Regional Government made a de facto military annexation of Kirkuk. The Kurdistan Regional Government did this by sending its peshmerga forces into the oil-rich city when the so-called Islamic State in Iraq and the Levant (ISIL/DAISH) caliphate was being carved out of northern Iraq, and northern Iraq was in disarray as the Iraqi military and security forces were repositioning themselves. What is very telling is that there were very few clashes, if any, between the peshmerga and the DAISH/ISIL forces. Iraq was being carved into three chunks. Although the process did not take place overnight, the country was literally divided into an autonomous Kurdistan region waiting in the wings to declare its independence from Iraq, a pseudo-caliphate enveloping the areas of Iraq predominately inhabited by Sunni Muslim Arabs, and the federal territories enveloping the predominately Shiite Muslim Arab parts of Iraq in a matter of days. This division fell exactly into line with America’s Biden Plan and Israel’s Yinon Plan. It also so happened that the mendacious Masoud Barzani, president of the Kurdistan Regional Government, said that the Iraqi Kurds were preparing to declare their independence. It was no mere coincidence that Israel also announced it was high time for Iraq to dissolve with the secession of Iraqi Kurdistan. No wonder there were reports from Baghdad that Israeli forces were assisting both the ISIL/DAISH forces and the Kurdish peshmerga in northern Iraq. Nor should it be a surprise that American and Israeli weapons have been reported to be used by the pseudo-caliphates forces. When the pseudo-caliphate was being carved in Iraq, the US declared that it was going to openly aid the insurgents in Syria. Looking past the Orwellian doublespeak, what this meant was that the US was going to help the pseudo-caliphate. The calculus is simple: insurgents in Syria are the same people that have helped takeover Mosul and carve the pseudo-caliphate in Iraq against the people of Iraq, particularly the Christians. Sending weapons to help or to divide Iraq? When it was declared that the not-so-covert US-supported pseudo-caliphate in northern Iraq was fighting the Kurdistan Regional Government, the US and its NATO partners wasted no time in calling for more arms shipments to be sent to Iraq. Not wishing to be indicated, the US let France take the lead in this. The trickery lies here. 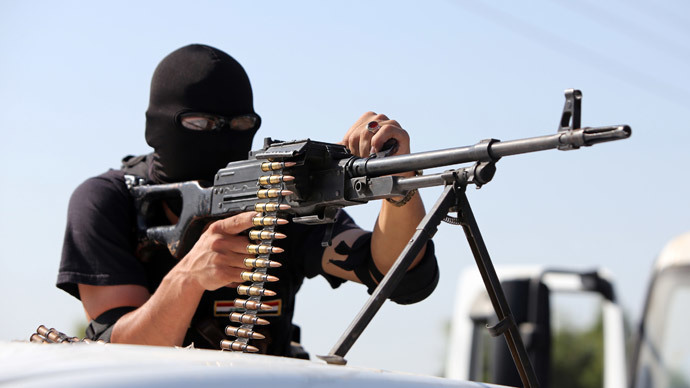 Instead of sending arms to the national military of Iraq, the calls were for sending weapons to the Kurdistan Regional Government. Under the cover of a new crisis in Iraq, the Kurdistan Regional Government is being militarily armed and supported so that it can break away from Iraq. When the US started bombing Iraq, it was not going after Abu Baker Al-Baghdadi’s forces. No man’s land was being bombed. The Pentagon was demarcating northern Iraq between the pseudo-caliphate and Iraqi Kurdistan. In other words, boundaries were being drawn out for both sides. Consistently in the backdrop of the crises in Iraq and Syria, there has been persecution of minorities and deliberate sectarianism aimed at creating sedition. It is no coincidence that Yazidis and Christians are systematically being targeted in Iraq, just like how Christians, Alawies, and Druze have been targeted in Syria. It should be mentioned that while minority groups are being systematically targeted, the majority of people being killed by groups like ISIL/DAISH, Al-Nusra, and the Free Syrian Army are actually the innocent Sunni Muslims that oppose these troublesome militant groups. The Foreign Minister of Lebanon, Gebran Bassil, made an interesting connection between the Israeli war crimes against Palestinian civilians of Gaza and the ISIL/DAISH murder of Iraqis in Mosul. For Foreign Minister Bassil, himself a Maronite Catholic Christian, the connection was clear. Both Israel and ISIL/DAISH are working to redraw the ancient region by destroying all traces of plurality and diversity. This is why Bassil and the Lebanese government sent a request to the International Criminal Court to investigate the crimes of Israel against the Palestinians and the crimes of the ISIL/DAISH. Using the crisis in Iraq to co-opt Iran and to attack Syria? The US is still holding a stick behind its back. Washington could use its intervention in Iraq to open a gateway for intervention against Syria as a means of shifting the balance of power against the Syrian government. At the same time Washington, London, Paris, and their cohorts are dangling carrots too. 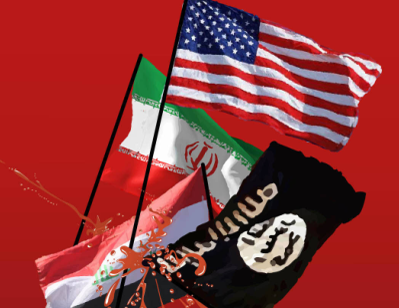 The US and its allies are talking about cooperating with Iran and Syria to fight the groups that the US and its allies have created and unleashed in Iraq and Syria. What the US and its allies are dangling in front of Tehran and Damascus is not fully known yet. Cooperation, however, is a poisoned chalice that neither Iran nor Syria should drink from. The whole world knows what happened to Muammar Qaddafi and the Libyan Arab Jamahiriya when Tripoli cooperated with the US, Britain, and France. Cooperation was used to infiltrate the Jamahiriya and to buy out officials. In the end it ended up in regime change in Tripoli and the murder of Colonel Qaddafi by NATO-controlled Libyan militants. Nor should it be discounted that Washington wants to turn Tehran against Moscow. Iran and Russia are important partners for one another in bypassing sanctions, and the US is very unhappy with the oil-for-goods deal that has been authored by the two sides. So on the one hand Washington holds its stick whereas on the other hand it dangles its poisonous carrots. Iranian Deputy Foreign Minister Hussein Amir-Abdollahian, however, has dismissed the chatter about cooperation with the US and its allies, saying that Iran sees no need to cooperate with the US and British governments to fight the terrorists plaguing Iraq that both the US and Britain have helped create. This article was originally published by RT on August 28, 2014.